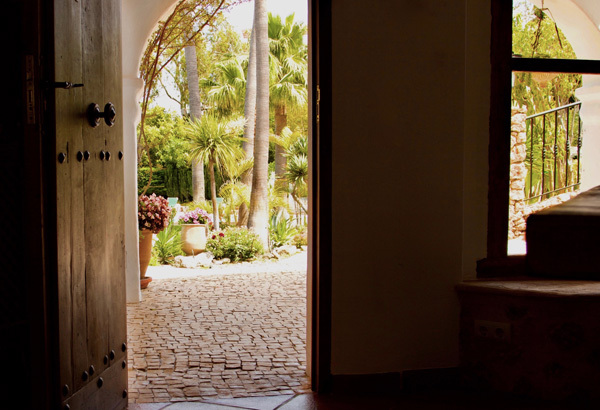 For almost 20 years I have been managing two special rustic Spanish properties and from time to time I make them available for rent to people who are also attracted by their charm. I am sharing the pleasure that I, as a foreigner, have for the pure and simple lifestyle that exist in Andalucia. Nearly all building materials used in the property are local, nearly all the furniture is hand made locally. The properties are maintained by an experienced team of locals – they are with us 12 months of the year. We heat with solar power, we care for the environment, we don’t use pesticides or harsh chemicals and we grow what food we can. When you make contact, I ask your permission to hold your email address & name and send up to 4 emails a year. The emails highlight improvements to the properties, our availability & any special offer. All my outgoing emails contain an unsubscribe link. Your emails are never passed to anyone else. We have returning guests, people visiting on recommendation and our own personal use to accommodate, this is why having contact with you is helpful. Come to us directly ! I want to hear from you to answer any questions before booking. Prices on this website are the direct prices without the need for your to pay commissions & surcharges sometimes found on third party websites who may add eye watering additional fees over which we have no control.